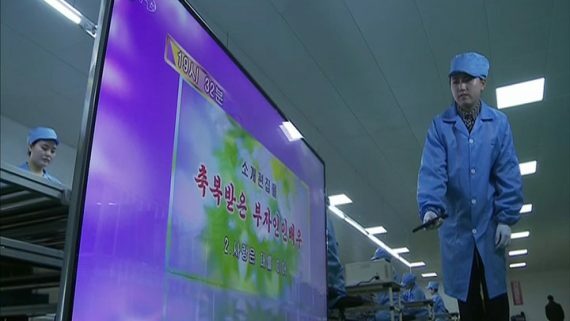 Korean Central Television (조선중앙텔레비죤) broadcast footage over the new year holiday of the flat-panel TV assembly line of Potonggang Electronics (보통강전자제품공장). 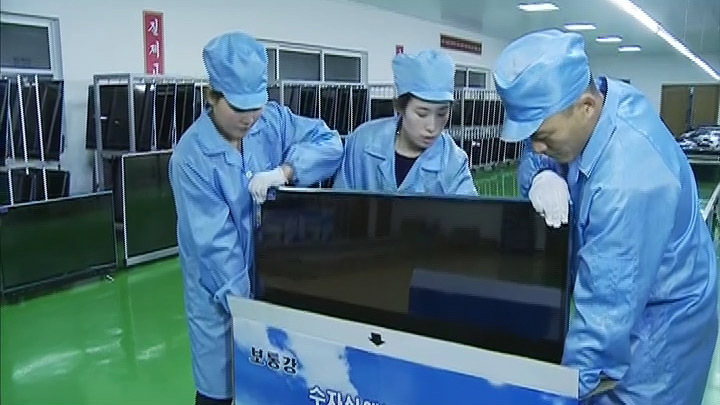 The video shows workers testing LCD TV components, putting parts together to make TV sets and testing the final TVs but at no point does it back up its main claim that the curved LCD panels are made in North Korea. 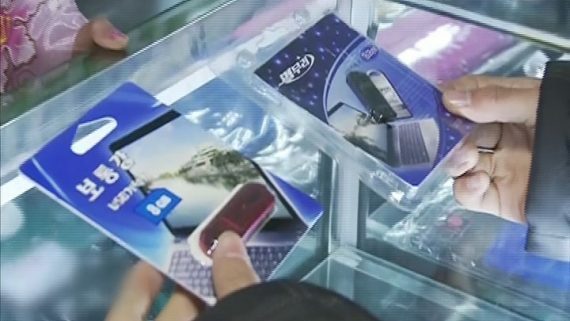 The DPRK’s electronics industry isn’t at an advanced level and the country typically relies on Chinese electronics companies to make products to order, complete with North Korean brand names stamped on them. The goods are imported and passed off as domestically made products. The Potanggang Electronics factory appears to follow this general pattern. 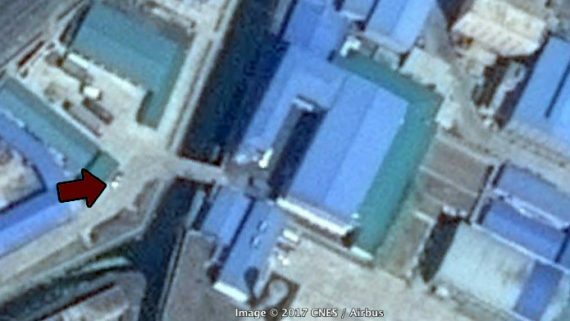 The factory is located in the Potonggang district of Pyongyang and the main building has been there a while, at least as far back as the earliest Google Earth image from 2000. A bridge across a small river in front of the plant was added in 2009, creating what would become the main entrance to the plant, and a significant additional building was constructed at the front of the site in 2013. A Google Earth satellite image of the Potonggang Electronics factory from April 23, 2017. The arrow indicates the approximate position of a TV camera used to record outside video of the plant. The Potonggang Electronics factory, as seen in a KCTV report on January 1, 2018. Potonggang Electronics was founded in 2013 and began involved solely in LCD TV production, but in recent years has also added computer products and USB memory sticks to its line. 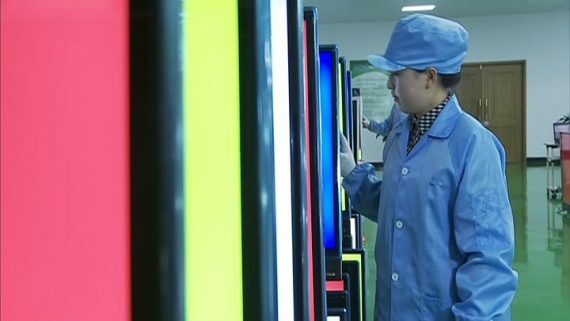 In several scenes, we see racks of LCD panels under test. The tests involve display full colors across the entire panel and are useful for things like detecting dead pixels in the screen. 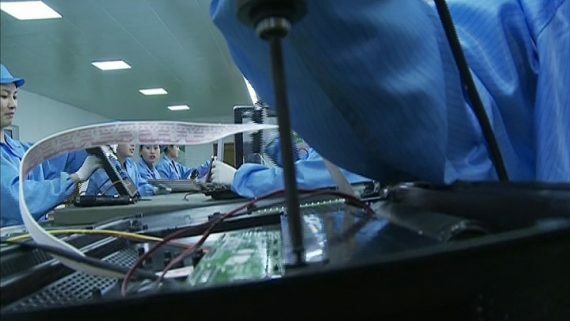 In other images, we see workers involved in assembly operations, putting together a TV set from parts that probably include cases, circuit boards and power supplies made overseas. And we also see the TV sets being tested. No doubt some of the staging is being done for the camera. 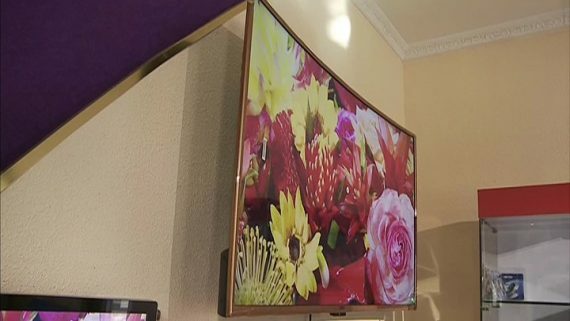 The main feature of the report is the new curved LCD screen, developed by the Potonggang Electronics Factory according to Korea Central Television. But nowhere in the report do we see footage of a panel production line. Producing LCD panels, especially large ones, is a complex operation and it seems unlikely that such a display of modern technology would not have made it into the TV report. So it’s highly likely that the panels, like the rest of the parts of the TV set, are being acquired overseas and assembled together in North Korea. 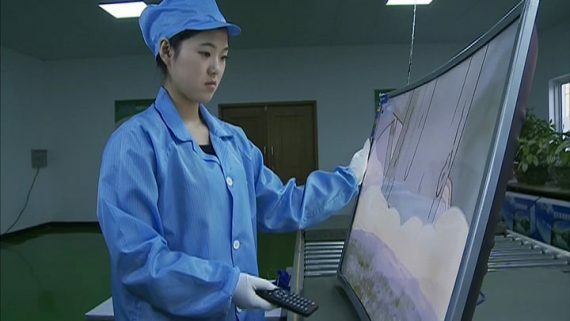 That’s a step more advanced that simply getting an OEM electronics company to make an entire TV and ship it ready for sale, and appears to match the current level of North Korea’s consumer electronics manufacturing industry. For a split second, the report does show something interesting: a TV bearing the Changhong brand name on the production line. 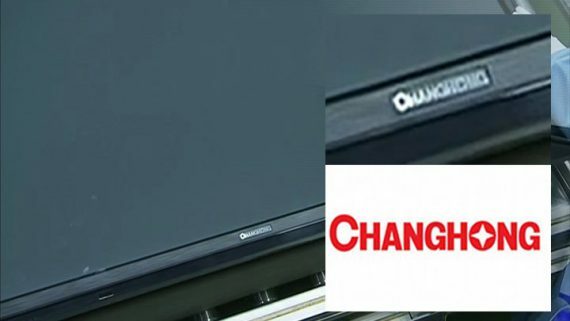 Changhong is a major Chinese manufacturer of flat-panel televisions and other consumer electronics and is based in Sichuan province. It uses the Changhong name on its lower-end TVs, opting for “Chiq” on high-end models. The 10-minute long program was broadcast twice over the new year holiday and appears to have been shot at the factory on December 18, 2017, based on a snippet of a KCTV broadcast seen during the report. 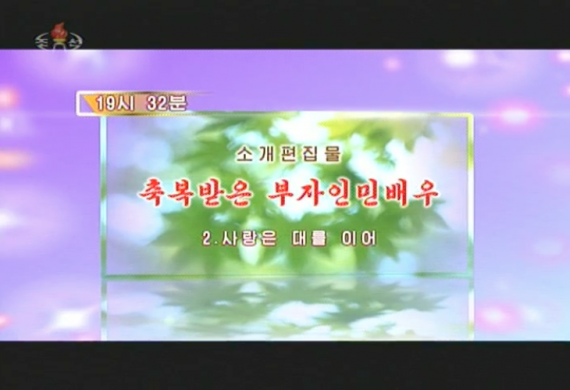 A screen from KCTV’s daily program guide on December 18, 2017. 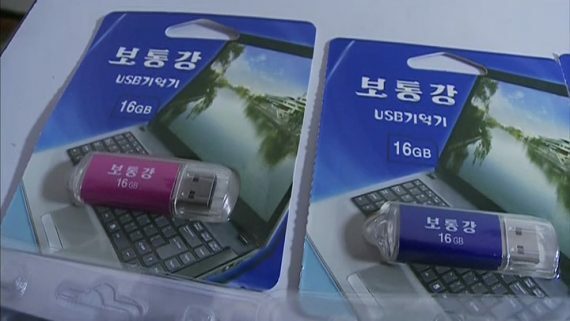 The same factory also appears to produce USB memory sticks. 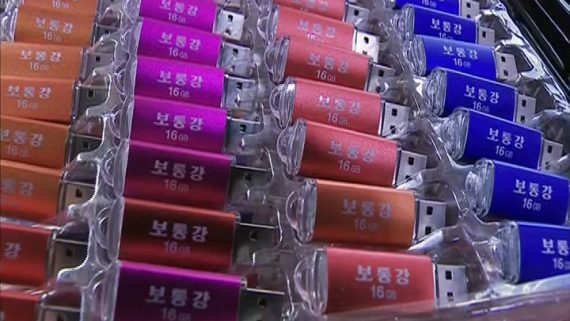 Potonggang-brand USB sticks are seen at several times during the report. But again, it appears as though the products are assembled in the DPRK from circuit boards imported from overseas. At one point we see a worker making the USB sticks, handling what appears to be a glue gun. 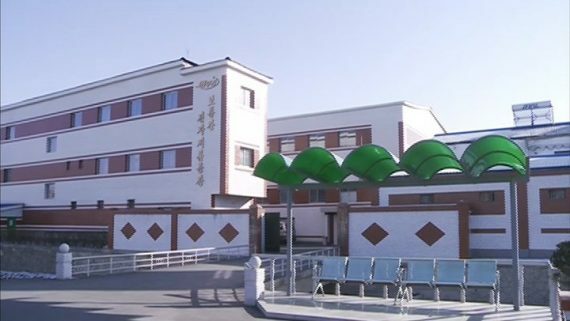 The Potonggang Electronics factory produces products under two brand names: “보통강” (Potonggang) and “별무리” (Star Cluster). The later is used for computers and computer-related products and we also see a computer monitor with the Star Cluster brand name. 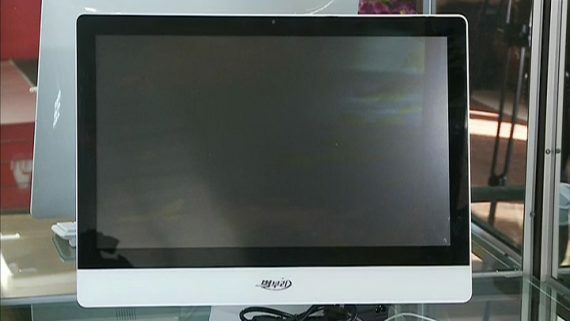 A computer monitor with the 별무리 brand of Potonggang Electronics. And here are USB memory sticks from the factory, one bearing each brand.